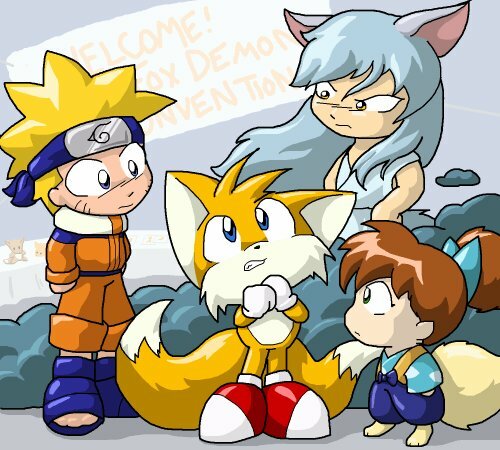 Tails meets naruto. . Wallpaper and background images in the Miles "Tails" Prower club. WHATSSSS HAPPENING !!!!!!!!!!!!!!!!!!!!!!!!!!!!!!!!!!!!!!!!!!­!!!­!!!­!!!­!!!­!!!­!!!­!!!­!!!­!!!­!!!­!! HOW DID THEY GET THERE!